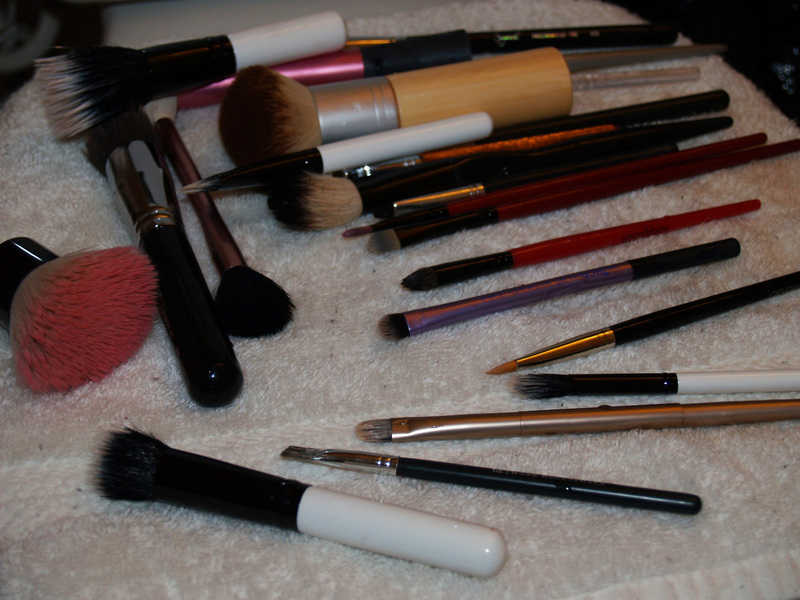 Let's Play Makeup: Cleaning your brushes on a budget! 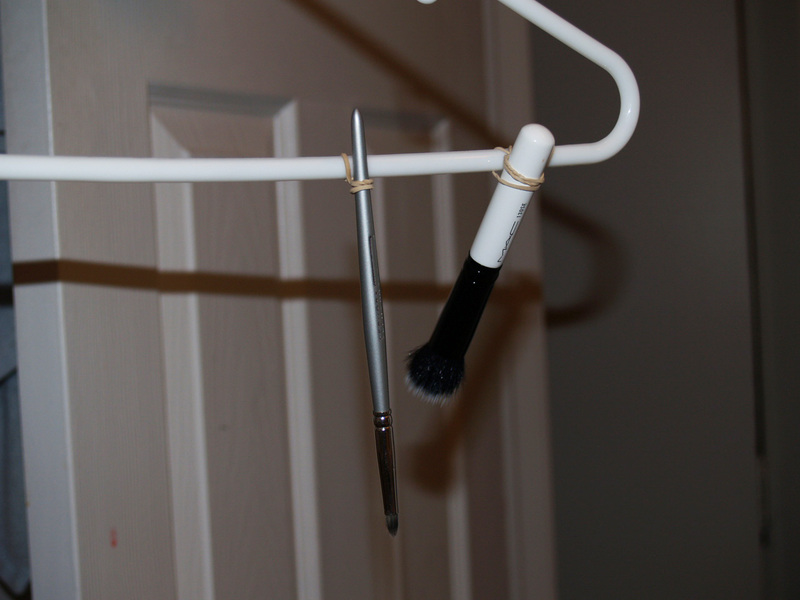 Cleaning your brushes on a budget! 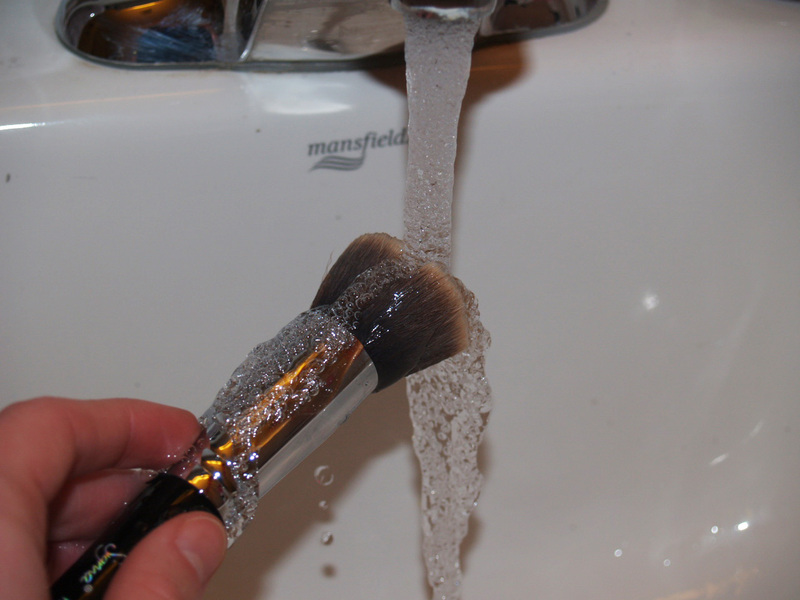 It's really important to clean your makeup brushes/sponges everyone now and then (every two weeks or more would be best) because not only do they look gross from all the makeup residue on them, they build up bacteria very easily. (yuck) Which can eventually lead to break outs, and no one wants that OR the nasty bacteria all over their face. 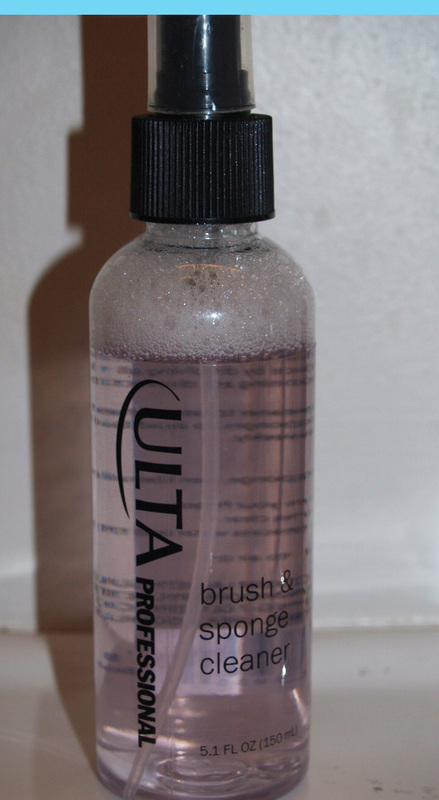 I am using this Brush cleaner that I got from Ulta for around $6.00 but i've also used Elf's brush shampoo that they sell for arounf $3.00 or you can use a gentle hair shampoo or baby shampoo. Lather and rinse until the water runs clear and the brush is squeaky clean. 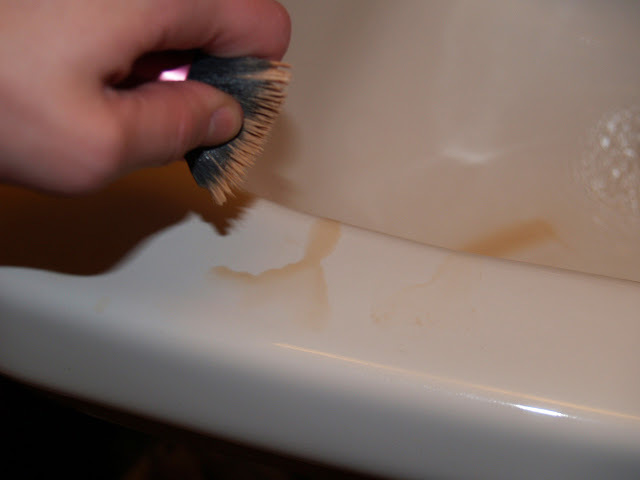 Squeeze the excess water out of the brush/sponge. similar to how you may use your towel on your hair after the shower. Now it's time to dry! 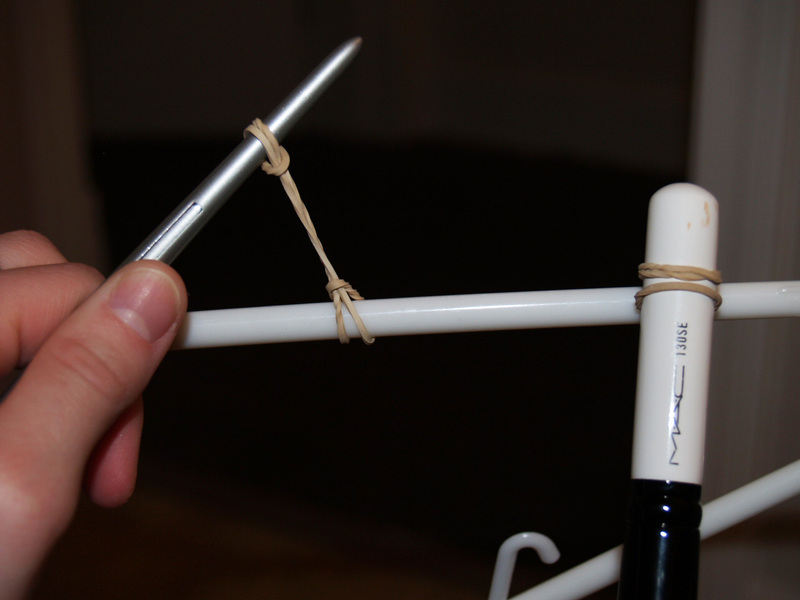 It's best to let your brushes hang upside down to dry over night. 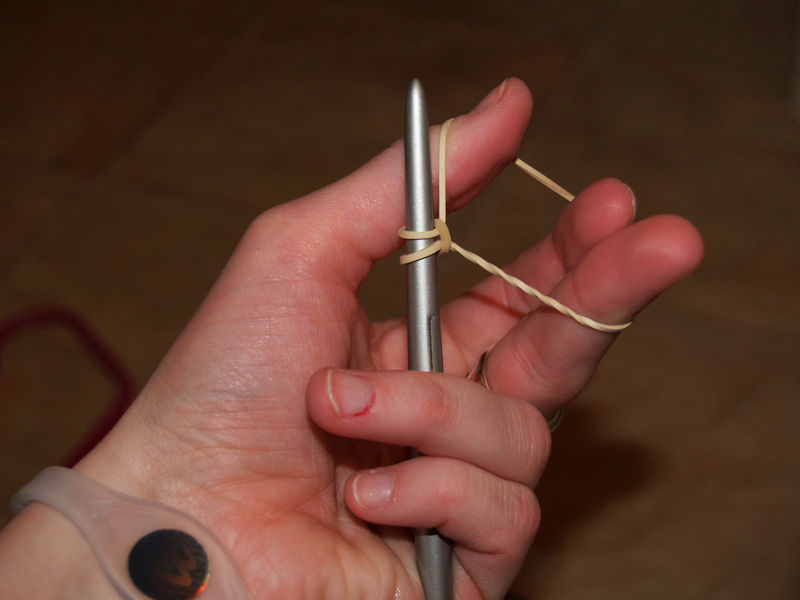 This is because you don't want the excess water getting into the ferrel of the brush (the silver part that attaches the handle and bristles) because it can loosen up the glue and make it come apart over time. There are some fancy, really cool brush drying racks out there like this one. 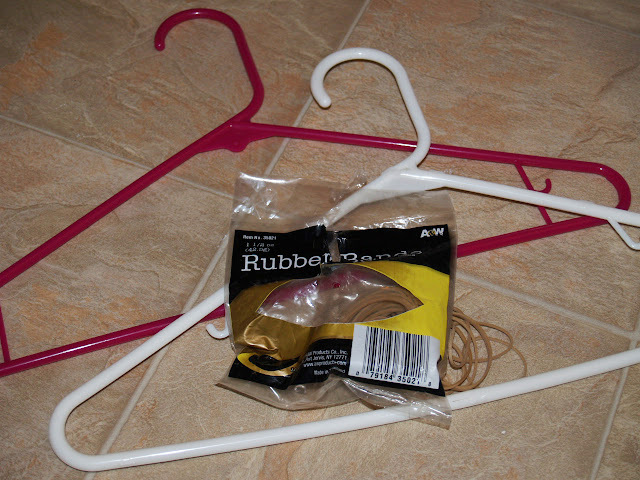 BUT if you are on the broke girl budget like me or just want to save some money and get crafty like I did here instead. 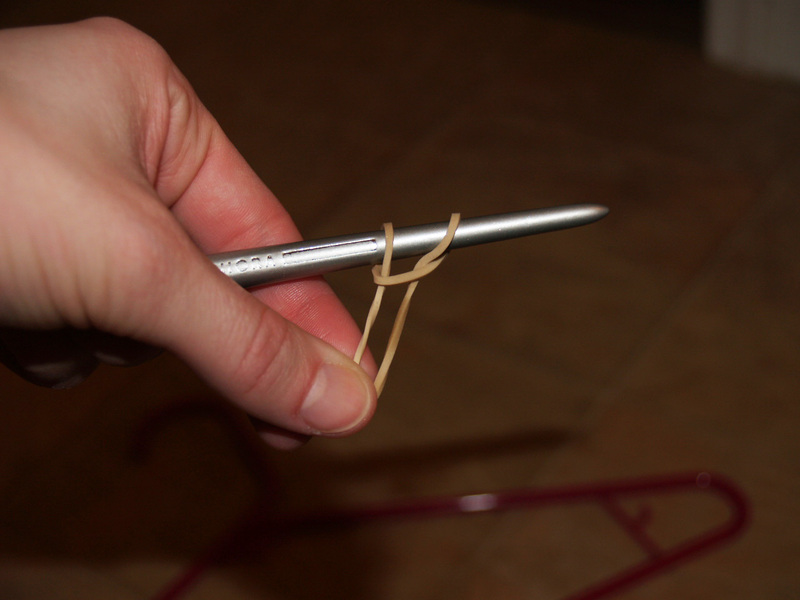 Loop the rubber band so that it 'knots' around the brush. by the way it's really good polish and i'll blog about it next! 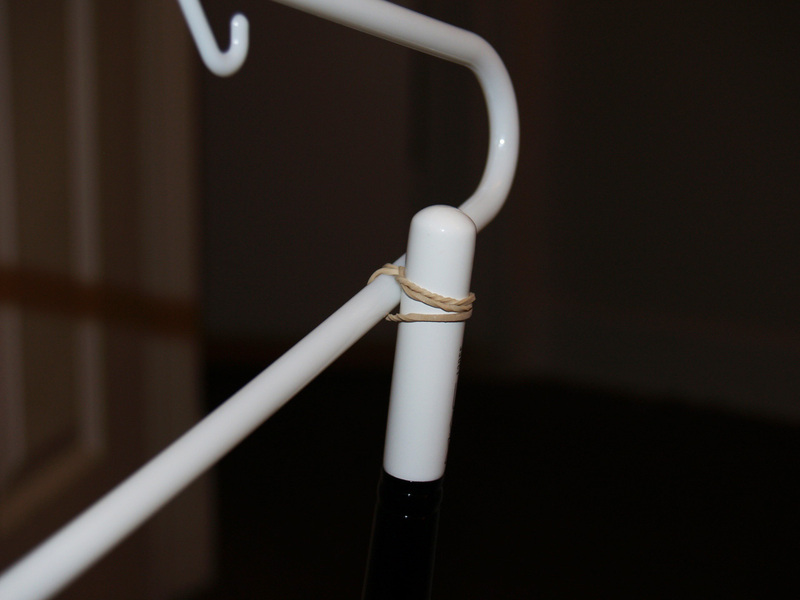 Now use the same looping 'technique' to attach it upside down to the hanger. VOILA!!! 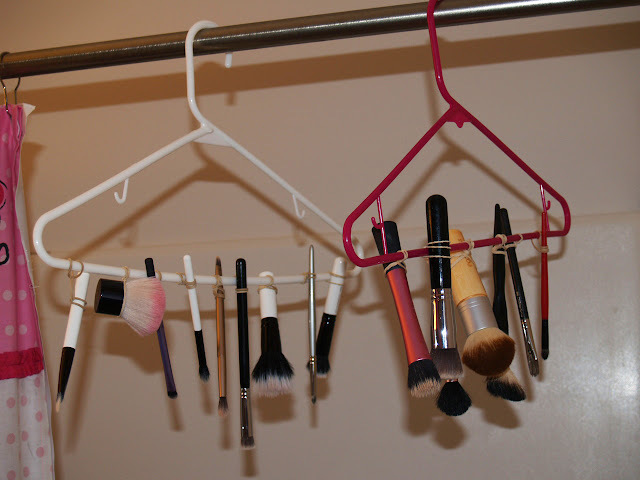 Continue until all your brushes are hanging. 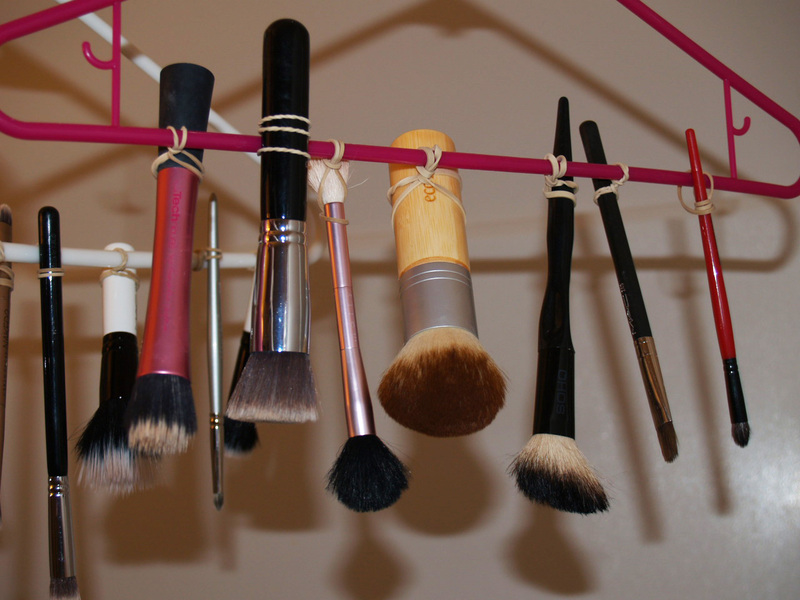 Enjoy your clean makeup brushes after they're dry! I hung mine from my shower rod to dry! Would anyone watch a video if I made one? This is something I desperately need to do! Glad its simple. 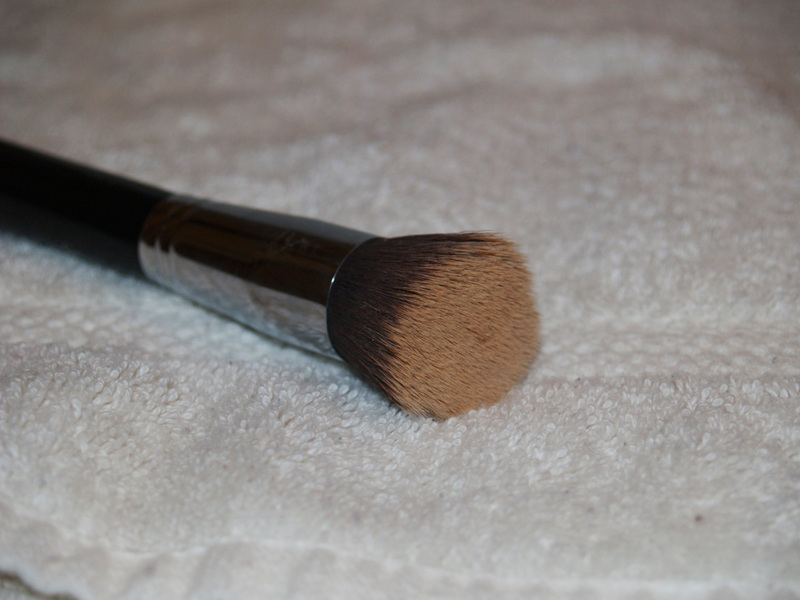 It will definitely make a difference and help keep your skin clearer and your brushes last longer!